If you received an injury while working on a construction job, you may be entitled to benefits such as worker’s compensation or payment of medical expenses. Worker’s compensation typically prohibits an employee from suing their employer. All the employee must do to receive benefits is show that the construction injury occurred while on the job. 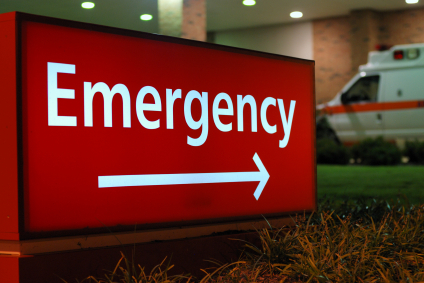 There are some circumstances where another party may be liable for injuries. These may result in a third-party lawsuit in addition to a worker’s compensation claim. Some common construction accidents include falling from heights and being struck by a falling object. Liability in a third-party injury lawsuit might include the site owner, the contractor, a subcontractor, or the manufacturer of faulty construction equipment. A personal injury lawsuit may include any third-party that contributed to the injury due to misconduct or negligence. The degree of control a site owner or contractor has in the construction environment is an important factor in the possibility of injury liability. Degree of control will help determine if they are responsible for the injury which occurred under their supervision. What safety requirements must be met by contractors? The Occupational Safety and Health Administration states that general contractors and subcontractors have to provide workers with a safe working environment. Contractors have an obligation to warn workers of hazards on the job. Leaders must ensure all work is performed safely and all regulations are being followed properly. On some construction sites, the engineers and architects may have a duty to observe progress on the job and ensure compliance with any regulations. Equipment manufacturers can also be held liable if they produce a faulty product that results in or contributes to a construction injury. Manufacturers must provide proper labeling instructions for use of the product so the machine can be operated safely. If you are injured in a construction accident due to a third party’s negligence, it is important to document everything that may be relevant to a claim. Document factors such as medical records, the construction site, location where the injury occurred, witness statements, and other evidence. This information will be essential in filing a construction injury claim. If the negligence of a third-party was responsible for your construction injury, you may be able to file a lawsuit in addition to your worker’s compensation claim. You will have to show that the other party was responsible for basic care and that they failed in providing basic elements that ensure safety. You will be required to prove that the third party’s negligence or gross misconduct directly caused the situation which resulted in the construction injury. If you are looking to hire an experienced personal injury lawyer who understands construction injury lawsuits, contact Attorney Dean Boyd. Call us today at (806) 242-3333 or Contact Us by email to learn more about our services. You can also visit our office at 4423 SW 45th Ave in Amarillo, Texas or 5012 50th St #103 in Lubbock, Texas for more information about how we can help you.